Andrew Jordan enjoyed a faultless debut run in the manufacturer-backed MG6 at Brands Hatch yesterday (12 February), completing more than 70 laps of the 1.2 mile Indy circuit. The 2013 BTCC champion’s return to Triple Eight Racing has been one of the biggest stories of the off-season so far and the squad has wasted little time in kicking off its all-important test programme. A steady start to the day in damp and chilly conditions gradually increased in intensity with the Lichfield-based driver piling on the lap count after lunch. “The car is great, as you’d expect from a 2014 title challenger,” he said. “It’s very quick and rides the kerbs well. It’s hard to be too accurate with the assessment as it was so cold that the tyres were warmer when I came in and crossed them than after a ten-lap run. Despite the change of machinery Jordan will be chasing a hat-trick of pole positions on the opening day of the season after he kicked of both his 2013 and 2014 campaigns with a flying performance in qualifying. “We’ve been on pole the last two times here on the Indy circuit at Brands and I think that has something to do with us being early to test and experiencing conditions that we’ll probably face at the first race,” he continued. Jordan has already competed for the multiple championship-winning team back in 2010, but it’s fair to say that with a number of race wins and a BTCC title under his belt, the Pirtek-supported racer is at a completely different stage of his career. “It’s a very different scenario to when I was here last,” enthuses Jordan. “Back then I didn’t win a race, so that’s certainly something I want to change! It’s been great to come back to Triple Eight. There are a few familiar faces here still; I know Ian [Harrison, Triple Eight Racing founder and MD] very well for example. “I wouldn’t say I’ve had an arm round the shoulder, I’m not sure I’d want that either, but the whole team have been really warm and welcoming. In our technical meetings I’ve been very sure about what I want, it’s pointless coming in and just sitting there, and I have a lot of experience now, so it’s important to use that and get my views across. The 25-year-old is clear to point out that yesterday was just the beginning of months of hard work, which he ultimately hopes will end with him winning his second title later this year. “The Indy circuit at Brands doesn’t give me much chance to evaluate the aero, which I know is a strong characteristic of the MG,” he concluded. “I’m looking forward to visiting Thruxton next week because there’s a lot I want to try there; I’m really excited about trying to get the MG to improve there because I love the track. Andrew Jordan will mount a bold new bid for BTCC success in 2015 after securing a lead place in the works MG team with Triple Eight Racing. 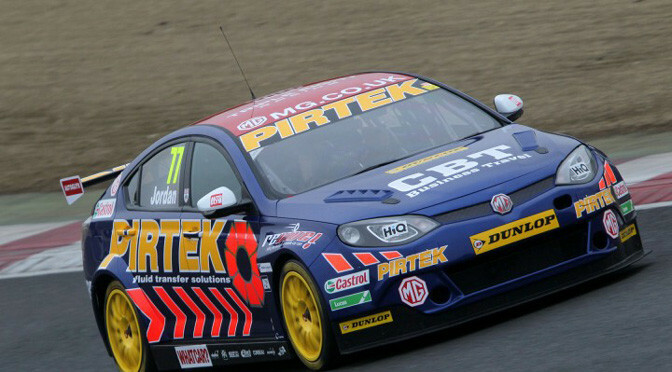 Jordan, the 2013 BTCC champion, and his prime sponsor Pirtek will move to the car and team that took the 2014 manufacturers’ title in a major new phase of his British Touring Car Championship career and Jordan says he is excited about his prospects for the coming season. 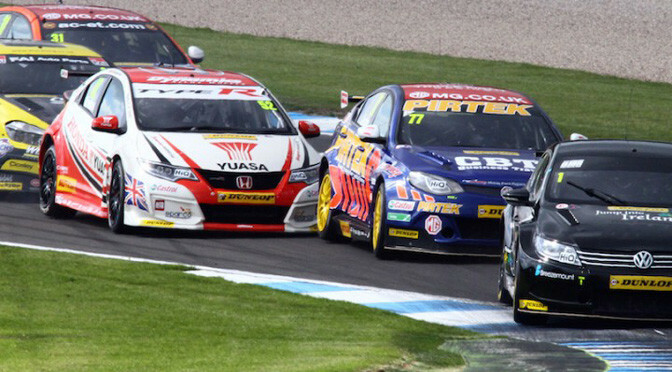 Triple Eight is the most successful team in the BTCC field and the MG6 GT is a proven race-winning package. The 2015 season will be the squad’s 19th year in the BTCC, while MG is the fastest-growing automotive brand in the UK. 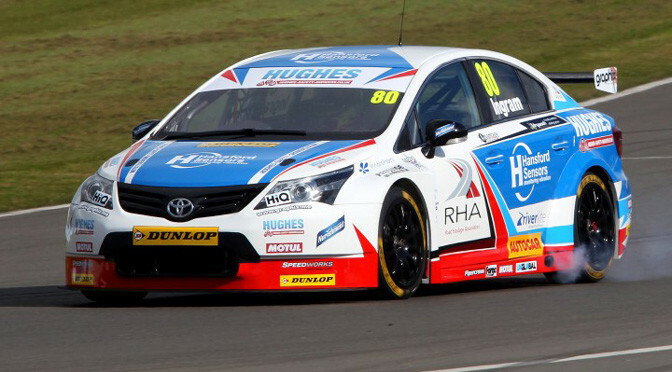 Andrew raced for the Triple Eight team in his second season in the BTCC back in 2009. “Now I’m going back with a lot more experience to try and lead the team to the championship,” he added. For the 25-year-old racer from Lichfield, who has already taken 14 BTCC wins and 41 podiums, the move away from a family-run team is a major step. “I want to be more prepared than I have been in the past and this package will allow me to focus 100% on the job of driving. From my pre-event planning to my mental approach and fitness, I need to make sure that I am more prepared than ever in every aspect.